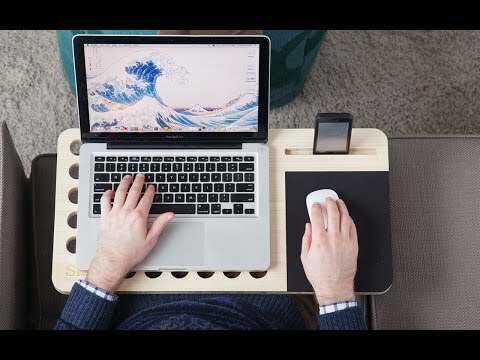 Straightforward and built for better posture, this lap desk is made from naturally light, heat-absorbing bamboo. 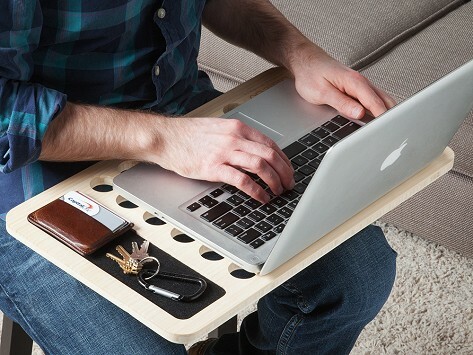 There’s a space for your keys or phone, and an open-hole pattern for ventilation. Dimensions: 19" x 11.5" x 0.75"
Very handy for my laptop and compact enough to store with my laptop in my travel case. Love this desk. Perfect for keeping the airflow on the laptop.